To achieve a sense of calm and peace can be difficult when we are living in this hustle and bustle city. 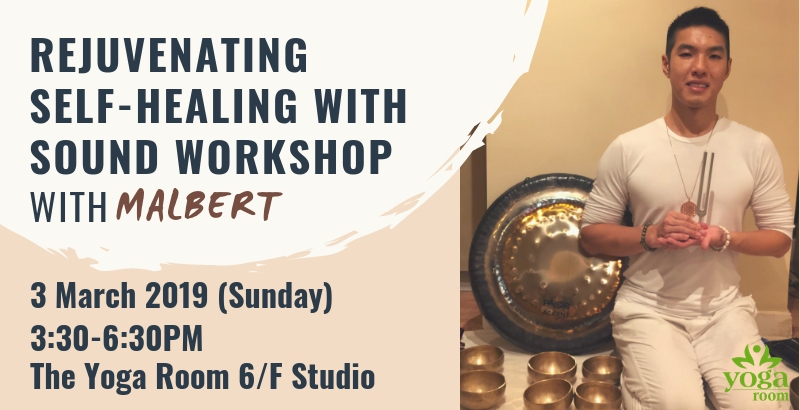 Hong Kong’s leading sound meditation teacher Malbert Lee has made it easy for you by introducing this easy and practical self-healing sound workshop. At the end of the workshop you will have more understanding of the concept of sound healing and various techniques on how to use the singing bowl and the tuning fork to retune and relax your mind and body. This will help to speed up your body’s natural self-healing process. Please drop us an email at info@yogaroomhk.com or call 2544-8398 for details. Booking can also be made directly through our office, please contact us. Please note that once paid, no refund will be offered on trainings and workshops.